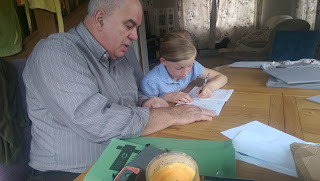 At Dyslexia Success we're committed to helping children succeed. Wishing all the best to two of my latest students. 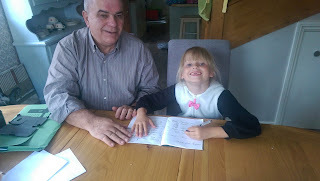 We have provided support to countries wanting to know about Dyslexia and/or wanting to set up a Dyslexia unit. We have already supported Ghana and Hungary. We are currently supporting Uganda. If you are interested in us supporting you in your country, please do get in touch. Another exciting visit to the shores of Lake Victoria supporting a further four schools by teaching the teachers specific learning shortcuts, which they could pass on to the children of Uganda. Back to Eden School. A long journey of over 4 hours on very rough bumpy roads brought us to Kiyindi and the edge of the beautiful Lake Victoria, Uganda. It was where our base was to be while we visited a number of schools including Back to Eden school, in Kiyindi. We lived with Pastor Dan and his wife Faith who had the vision to set up the school, where we were treated as members of their family. Bibbo School. The journey took about 2 hours from Kiyindi through the large town of Lugazi, the sugar capital of Uganda, and then further through the sugar cane plantations. A very poor school where most of the children have to kneel on the hard ground during lessons because they cannot afford the £10 needed to buy a new desk, which would seat 4/5 children. Yet the teachers were so enthusiastic to learn how to support children with learning difficulties. Niger. Here we visited two small village schools north of Kiyindi, the teachers were as enthusiastic as any we had ever met before. 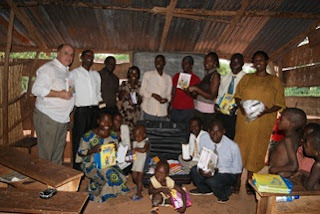 Despite the limited resources, they were prepared to provide the children with the best education they could. Nagasongola. 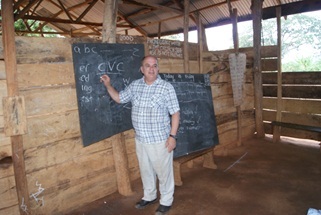 This was the most remote school we visited, about a 3 hour drive north of Kampala (capital of Uganda). 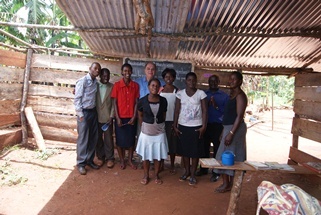 We visited and worked with teachers from two schools. Momprobi School, Accra. Training on dyslexia awareness was given to teachers to this wonderful school in Ghana's capital, Accra, provided by patriarch and provider of the school, Joy. This meant that the school could offer support to other schools and the community. Welcome to Dyslexia Success. We carry out dyslexia tests.